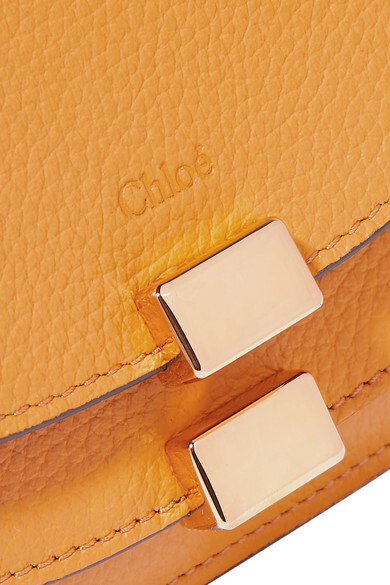 So many of Chloé's designs have equestrian influences - the elegantly curved front flaps of this 'Georgia' wallet are modeled after the shape of riding bags. 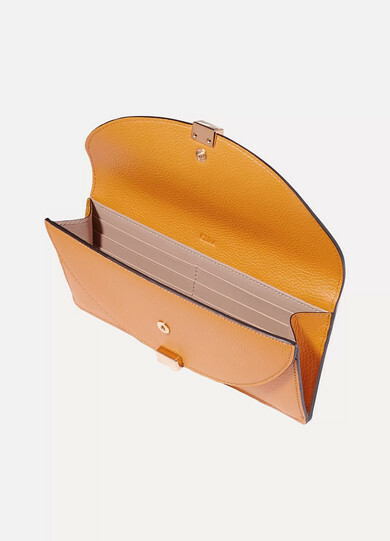 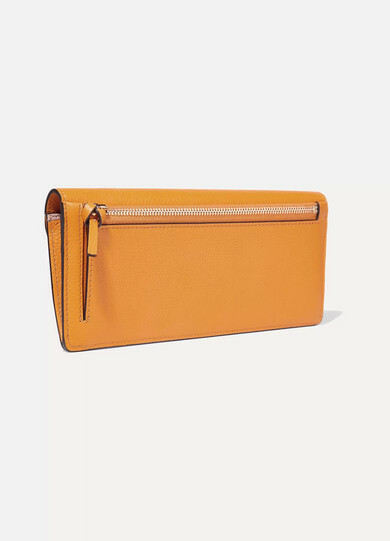 Made from resilient textured-leather complemented by gold hardware, it has a slender shape but plenty of interior compartments and slots for notes, receipts, cards and coins. 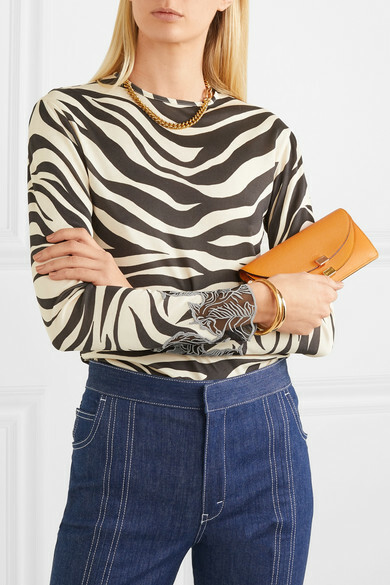 Shown here with: Chloé Top, Chloé Jeans, Alighieri Bracelet, Sophie Buhai Cuff, 1064 Studio Ring.